The 2018 WNBA regular season concluded on Sunday and the final seeding for the playoffs is now known. 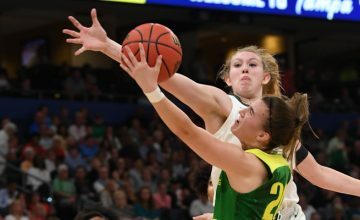 The Seattle Storm had clinched the top overall seed a few games back, the Minnesota Lynx and Dallas Wings were locked in to spots seven and eight prior to the final day of play, but seeds two through six were still up for grabs. Here is a look at the playoff picture, ranked from lowest seed to highest seed, as we head into post-season play. 8. Dallas Wings (15-19) If there is any single word that can describe the Dallas Wings regular season it would be “frustrating.” They started the season strong, fell to the middle of the pack by the All Star break, and then had a complete hemorrhage that led to the dismissal of head coach Fred Williams a week ago. Taj McWilliams-Franklin was promoted to interim head coach and it may just have been enough to stop the bleeding. Even though McWilliams-Franklin sports a 1-2 head coaching record coming into the playoffs, the Wings managed to win Friday night to secure the final playoff spot, which had eluded them the previous nine games, and then lost to the top seeded Seattle Storm on Sunday. As a player, McWilliams-Franklin is a champion. As a coach, she has been on the bench for both Williams and Bill Laimbeer. The one person on the Dallas Wings team who knows how to prepare both mentally and physically for a playoff push is the head coach. How well this translates to success on Tuesday when the team plays the Phoenix Mercury will only be seen when the game concludes, but the Wings are in a good place with center Liz Cambage, who led the WNBA in scoring with 23.0 points-per game, guard Skylar Diggins-Smith, who ranked third in assists with 6.2 assists-per-game, and head coach Taj McWilliams-Franklin, who is a two-time champion and has appeared in five WNBA championship series, to defy expectations and do well. 7. 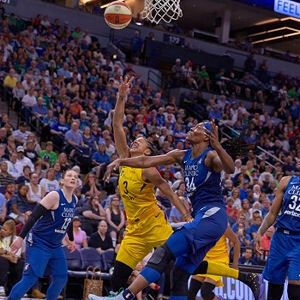 Minnesota Lynx (18-16) For a team that has been to the WNBA Finals six out of the last seven years, winning four championships during that span, the regular season may have been a disappointment. 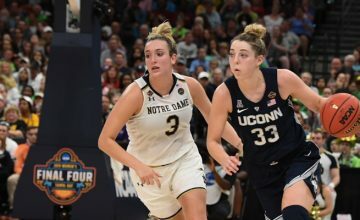 However, they have rallied around the slogan, “never underestimate the heart of a champion” since guard Lindsay Whalen announced her retirement a week ago. If there is anything that this team is capable of doing in the post-season, it’s winning. They’ve made the climb several times and have great success. Unlike previous years when they went into the playoffs as the top overall seed and earned an automatic bye to the semifinal round, this season they have two single-elimination games facing them before they can reach a five-game series if they plan on being the first team to win back-to-back championships since the Los Angeles Sparks did it back in the 2001 and 2002 seasons. The Lynx struggled early in the season with a tough road schedule and then bounced back with a seven-game winning streak in the heart of the season. 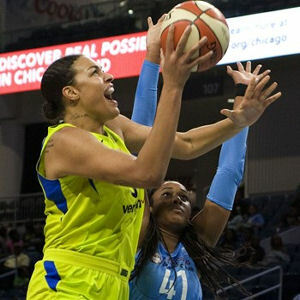 They struggled late in the season after clinching a playoff berth and lost the WNBA’s leading rebounder, forward Rebekkah Brunson, with a fractured nose and a concussion. This made it more difficult to advance to a higher seed. However, because of Minnesota’s experience in post-season play, and the possibility that Brunson might be back in the lineup, no team can turn their back on them as they could quickly be back in the Finals. Sylvia Fowles led all rebounders with an 11.9 rebounds-per-game average and set the WNBA single-season record for Most rebounds in a season. However, they have to get past teams that they have played in previous playoff series in order to do so, starting with the Los Angeles Sparks, who they faced in the last two Finals series meetings, in a single-elimination game on Tuesday night. 6. Los Angeles Sparks (19-15) The Los Angeles Sparks had an up-and-down season with a strong start and a weak finish, having won only one of their last five games after a dominating 11-3 start. Forward Nneka Ogwumike has been in and out of the lineup with an illness, which has not helped the Sparks fortunes. Guard Chelsea Gray ranked sixth in the league for assists with 5.1 assists-per-game, while forward Candace Parker ranked eighth in assists with 4.7 assists-per-game and fourth in rebounds with 8.2 rebounds-per-game. Still, the core that won the 2016 WNBA championship and pushed last year’s Finals series to five games, is still around, still experienced, and still lethal. The 2016 season ended with a championship won at Minnesota. The 2017 season ended with losing a championship at Minnesota. The 2018 season began with a one-point victory at Minnesota and on Tuesday in a single-elimination game, they play Minnesota. While the Sparks host the first round game, expect it to be a tightly contested, hard fought, narrow margin game, just as it always is in Sparks-Lynx playoff series. 5. 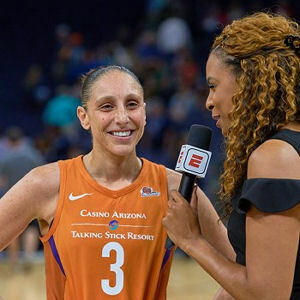 Phoenix Mercury (20-14) All season long, the Phoenix Mercury have been about the “Big Three” – guard Diana Taurasi, center Brittney Griner and forward DeWanna Bonner. When the Big Three are playing together as a group, Phoenix is unstoppable and capable of scoring in the triple digits seemingly at ease. When the Big Three are off, opposing teams take advantage and find ways to win. Taurasi ranked third in scoring with 20.7 points-per-game and Griner ranked sixth with 20.5 points-per-game. Griner also pulled down 7.7 rebounds-per-game for an eighth place ranking. The Mercury managed to pull together enough wins to finish at the top of the first-round single-elimination seeding, despite going on an eight-game winning streak in the middle of the season, which means they get to host the eighth seeded Dallas Wings on Tuesday. 4. Connecticut Sun (21-13) The Connecticut Sun is in their 16th season playing in Uncasville, Connecticut, 19th season in existence as a franchise (previously the Orlando Miracle) and have yet to take home the championship hardware. The 2017 WNBA Coach-of-the-Year Curt Miller certainly hopes to do that this season. Forward Alyssa Thomas ranked fifth with 8.1 rebounds-per-game but her presence was sorely missed in the middle of the season when she was recovering from an injury. Guard Jasmine Thomas ranked seventh with 4.8 assists-per-game and forward Chiney Ogwumike pulled down 7.3 rebounds-per-game for a ninth place ranking. Miller has been slowly building a championship-caliber team since his arrival in 2016. Now that the pieces are in place, the question lingers as to whether they have what it takes to make it to the next level. Getting a first-round bye certainly helps their cause as it gives his team a couple of extra days to rest and prepare. They host a single-elimination second round game on Thursday against the highest seed winner of a first round game. 3. Washington Mystics (22-12) The Washington Mystics currently have the longest championship drought of all playoff teams this year. Now in their 21st season, the franchise has never won a title nor have they ever appeared in a WNBA Finals series. Mike Thibault was brought on board as head coach and general manager prior to the 2013 season. Though the team hasn’t broken through in his five previous seasons at the helm, there has been substantial progress made. 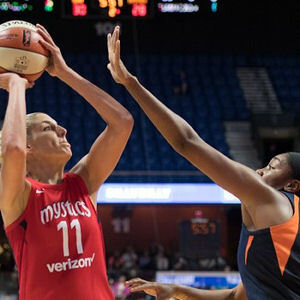 Last year, the Mystics lost to the Minnesota Lynx in the semifinals and this season the team battled to the end for the second seed, barely losing out to the Atlanta Dream. Thibault credits the semifinal series last season and the tough schedule they faced at the end of this season, as helping prepare his team for the playoff push. Forward Elena Delle-Donne ranked fifth in scoring with 20.7 points-per-game and pulled down 7.2 rebounds-per-game for a tenth place ranking. Guards Natasha Cloud and Kristi Toliver ranked ninth and tenth in assists respectively. Thibault is the WNBA’s winningest coach with 310 victories under his belt and this is his 13th season where his teams have qualified for post-season play in his 16 seasons as a head coach. The Mystics host a second round single-elimination game on Thursday against the lowest seed winner of the first round game. 2. Atlanta Dream (23-11) The Atlanta Dream finished the 2017 season with a 12-22 record and out of the playoffs, which led to the ousting of head coach Michael Cooper. Nikki Collen, who was an assistant coach for Curt Miller in Connecticut and helped the turnaround effort there, was named the new head coach of the Dream. Despite a slow start with a 2-2 record in May and 5-6 record in June, things turned around for the first year head coach as the Dream posted a 9-2 record in July and went on an eight game winning streak that moved them from ninth place to the second seed. Part of that turnaround came in the form of the return of forward Angel McCoughtry, who sat out the 2017 season, but other players like forward Jessica Breland, who averaged 7.9 rebounds-per-game for a seventh place ranking, also stepped up. The effort was enough to withstand a hard charge by the Mystics for the second seed. Unfortunately, they will approach the post-season without the services of McCoughtry, who sustained a season-ending knee injury on August 7. Atlanta has appeared in the WNBA Finals on three occasions but have never won a Finals game, much less a championship, in any of those years. For Collin and the Dream, it’s one step at a time beginning on Sunday August 26 when they host the highest seed winner of the second round. 1. Seattle Storm (26-8) The Seattle Storm is the team that defied expectations during the 2018 WNBA season. After finishing with a 15-19 record last season and losing a first round single-elimination game to the Phoenix Mercury, the Storm hired veteran head coach Dan Hughes to lead the franchise. 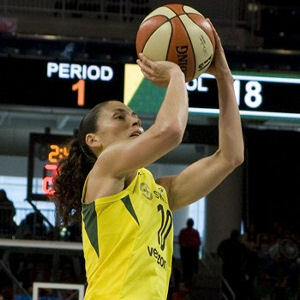 They had the talent with WNBA all-time assists leader Sue Bird, who, even as the oldest player in the league, managed to dish 7.1 assists-per-game for a second place ranking, and forward Breanna Stewart who finished second in points with 21.8 points-per-game and ranked third with 8.4 rebounds-per-game. All they needed was a veteran coach who could bring out the best out of the players they had. Hughes ranks third all-time in wins with 263. This will be the 11th time in Hughes 17 years of WNBA coaching that he has led teams to the post-season. 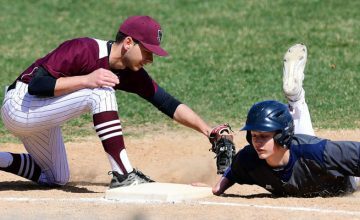 The team has responded to Hughes coaching, and teaching, as they racked up three five-game winning streaks during the regular season. 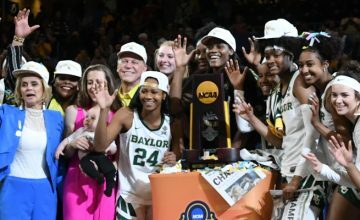 Their performance in the regular season earned them the top seed, home court advantage throughout the playoffs and byes during the first two rounds. They will play the lowest seed winner of the second round on Sunday August 26 for the semifinals, which puts them in a good position to win their third WNBA title.